We will be privileged to arrange an out of the world experience while you are in Pushkar. We organize special kind of dinners, theme based party for our esteemed guests and also arrange entertainment filled setting for you. We offer multi cuisine menus be it Continental, Chinese, Indian, Rajasthani (Local), or ala carte. Camel Safari in Aaram Baagh Pushkar is a once in a lifetime experience. Explore the rugged terrain of the great Indian Thar Desert while using camels as your load bearer, the experience can be memorable. The only thing, one will have to get used to while planning a camel safari is the ungainly movement of the ship of the desert While Riding through the sandy landscape. The valuable customers are welcomed by the villagers, they ride on camel cart with procession having mashals, flags, drums, village girls performing dance in a traditional attire . Then garlanding , memento followed by fabulous dinner. This all happen in natural surroundings of sand dunes with bonfire and fireworks. Every detail is designed to entertain, and there is plenty to get excited about. We are honored to organize a royal mock Indian style wedding. You will be robed like royalty. We go all the way to facilitate your stay while performing this Mock Indian wedding. It's an unforgettable experience as we have already stated as we arrange all customary traditional attires and if you want we even get you a full course Indian meal to go with it. Pushkar occupies an important place as a source of souvenirs in Rajasthan. Visitors who make a tour to the holy town pushkar also visit the bazaars to shop for textiles, vivid embroidery, jewellery, miniature paintings, leather goods, brass utensils, puppets and pottery. Pushkar is one of the best places in Rajasthan to purchase costume jewellery and embroidered clothes. A thrilling Ride along the region trails with the feel of a rush, speed, and adventure. Get ready to experience ATV rides in the rustic land of royal emperors. 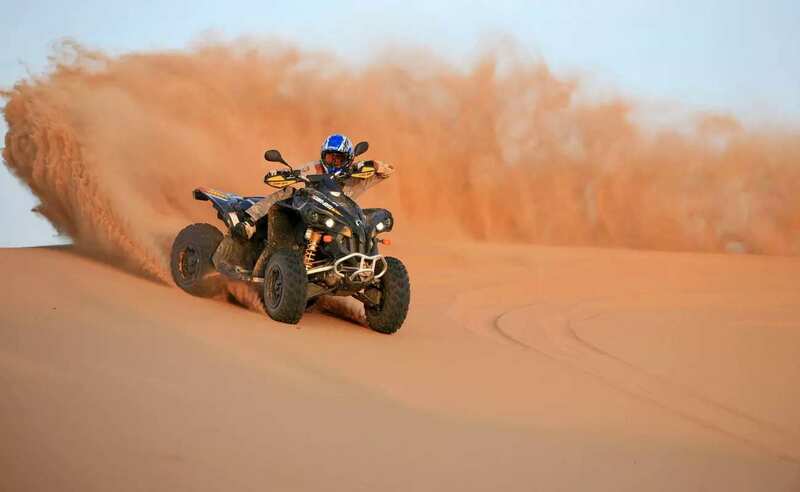 Outdoor adventure experiences like ATV tours are guided by our trained instructors to suit all age groups. Want to experience something new? 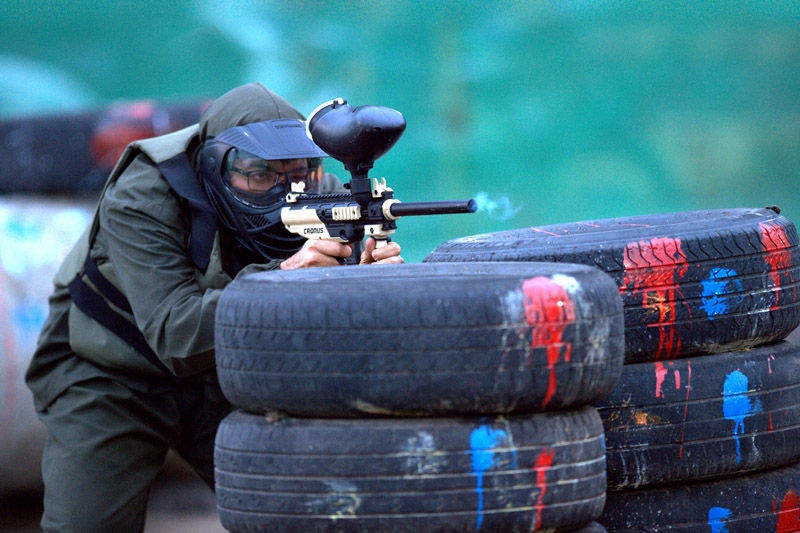 Experience Paintball in the land of Rajwadas to give you an experience of a shooting sport once in a lifetime. 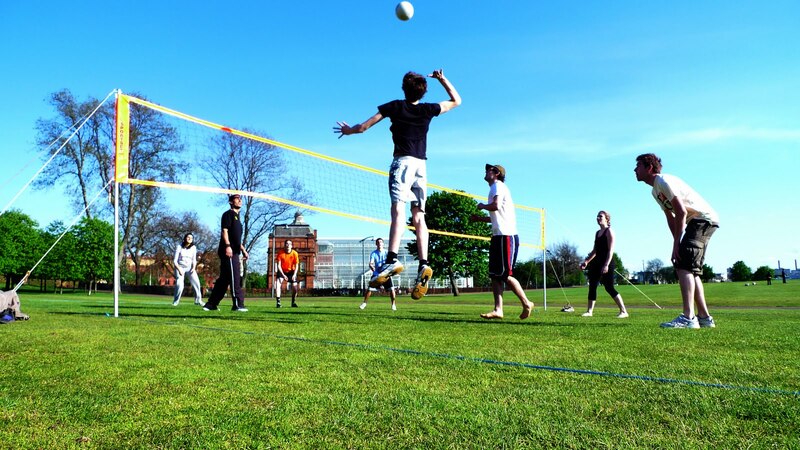 Recreate with your friends and try team shooting sport a fun activity in which players try to eliminate opponents from the game by hitting them with spherical dye-filled gelatin capsules which is shot from the air gun, an altogether a fun experience for our guests. Zorbing in Aaram Baagh Pushkar is an adventure experience that'll make you roll with memories for a lifetime. An adventure sport where you roll around in a plastic ball, an extremely fun experience. A perfect treat for those who demand adventure and fun. Get ready for a ride for a life where you go rolling n rolling with lots of laughs and joy all around. An idea of visiting a farm is an awesome experience altogether while witnessing the natural habitat. 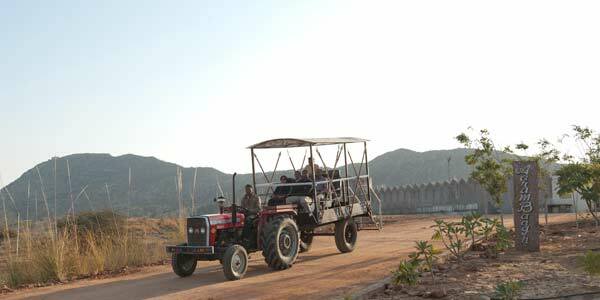 Tractor safari in Aaram Baagh Pushkar is a fun experience where the driver takes the guest on an 8 seater tractor to visit the farms showing the culture and enjoying the refreshing essence of the farms.